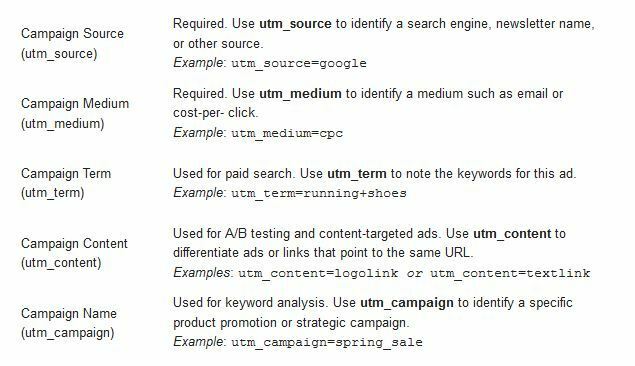 In homage to its previous existence as Urchin Stats, Google Analytics supports URL tracking options using the prefix utm_, which stands for Urchin Traffic Monitor. There are five of them in total, and all you have to do is add them to any URL for your website that you publicise in some way. Typical publicity drives for websites are email, facebook and PPC (pay-per-click) advertising. If you aren't sure how to piece all these bits together, the Google Analytics support site has a simple URL builder where you specify all of the bits and a fully-tracked URL is generated.